Our kitchen was on FIRE last Supreme season and filled with success. 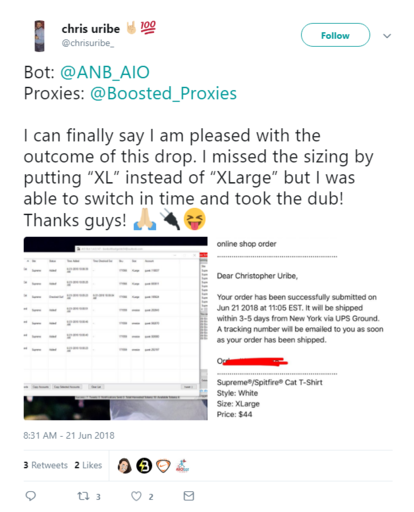 Just have a glimpse at our Twitter shoutouts from our Supreme bot users. We've been in Supreme industry for many years and helped a lot of our users to cop most hyped supreme items. Supports up to 20 accounts. More tasks, more success! 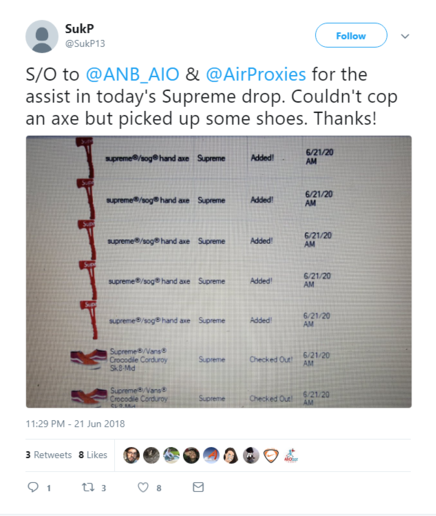 Providing Supreme bot instructions and keywords for the upcoming items. No need to figure them out yourself. Advanced methods to catch Supreme items when they drop. 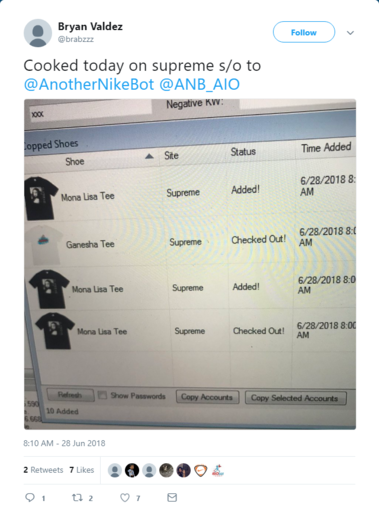 Faster than any other Supreme bot. Using the latest Captcha solving technologies, one-click Captcha will save you time and help you checkout faster. 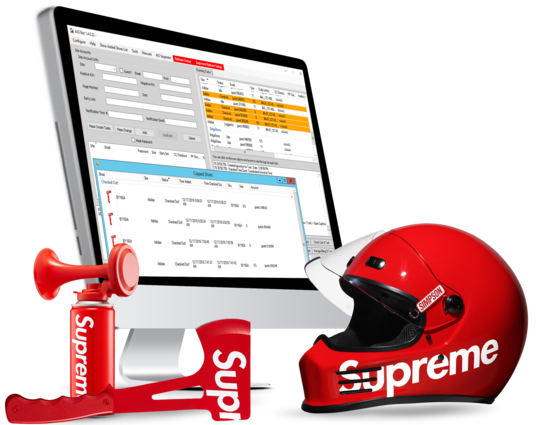 Automatically & quickly checks out selected items with our Supreme bot. Automatically retries to checkout upon failure. 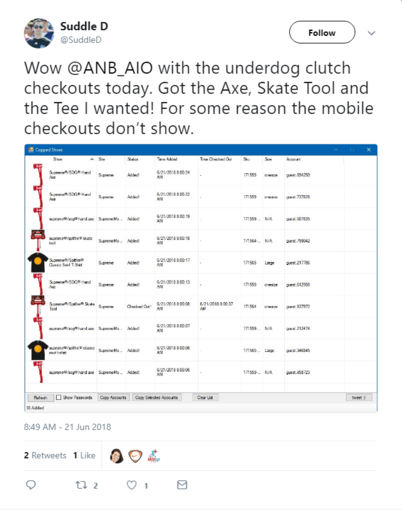 This will further increase your copping chances. Tests whether your proxies are slow, fast, or banned. It even checks if they’re actually working or not. This is an actual BOT NOT a chrome extension. It's a fully-functional standalone desktop Supreme bot. With higher efficiency and greater speed than competing products. What are you still waiting for ?